Learning you have a BRCA variant can cause many different emotions. You likely have questions about what this result means for you and what you can do. You may also wonder what your result means for your family. There are important conversations you should have with healthcare professionals. In this article, we’ll help you begin to think about these conversations and explore what next steps you can take. This article focuses on BRCA results for men. To view information relevant to women, click here. People who have one of the three BRCA variants that we test for are at increased risk for certain cancers, specifically male breast cancer and prostate cancer in men, and breast and ovarian cancer in women. These variants may also be associated with an increased risk for pancreatic cancer and melanoma. However, it’s important to remember that an increased risk does not mean you will definitely develop cancer. There are other factors that may impact your risk -- and there may be options for screening that you can discuss with a healthcare professional. Studies indicate that 1-2% of men with a BRCA1 variant and 7-8% of men with a BRCA2 variant develop male breast cancer during their lifetime, compared to 0.12% of men in the general population. VMen with a BRCA1 variant may also have a higher risk for prostate cancer and pancreatic cancer. 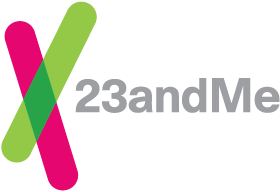 Men with a BRCA2 variant also have a higher risk for prostate cancer, and may have a higher risk for pancreatic cancer and melanoma. Genetic variants like BRCA1 and BRCA2 are passed through families, so your result for this report may be relevant to your family members. If any biological female relatives -- like your mother, and any sisters or female children -- also have a BRCA variant, they would have an increased risk for breast, ovarian, and potentially certain other cancers. If any biological male relatives have this variant, they would have an increased risk for male breast cancer and potentially certain other cancers. Discuss cancer screening options. Your doctor will likely talk with you about different options for cancer screening. Cancer screening can help detect certain cancers at an earlier stage, when they may be more treatable. It is recommended that men with a BRCA variant be screened for male breast cancer. Your doctor can also provide guidance about whether prostate cancer screening is appropriate, based on the genetic variant you carry. Consider talking to your family about your result. Since BRCA variants are passed down from generation to generation, your family members may also carry the variant you do. Informing other family members about potential genetic health risks so that they can take action can be an important benefit of finding out about your own BRCA result. Your result may be particularly important for female family members. For women carrying a BRCA variant, the risk of developing breast cancer is between 45% to 85%,. compared to about 12% in the general population. In addition, women with a BRCA variant have up to a 46% chance of developing ovarian cancer, compared to about 1.3% in the general population. We encourage you to review our help article, Shared Risk: Talking To Family Members About Genetic Test Results, which includes a few important questions to think about and some ideas that may help you find the right approach for sharing genetic risk information. Family history. If you have a family history of prostate, breast, ovarian, or other cancers, make sure you bring this up with your doctor in addition to your BRCA result. Your doctor will likely talk to you about the history of cancer in your family when helping you determine appropriate next steps. Lifestyle factors. Although research is ongoing, maintaining a healthy body weight appears to be important for reducing cancer risk. And eating a healthy diet and staying physically active are always good ideas for keeping your body healthy overall. Genetic counselors are healthcare professionals who specialize in hereditary conditions and are specifically trained to help people understand their genetics in the context of personal and family history. They can provide both medical knowledge and emotional support. Speaking with a genetic counselor about your result can ensure that you have a clear understanding of what your result means for you personally. A genetic counselor can also help you think about different screening options, and work with other healthcare professionals to coordinate your care. Breastcancer.org: Breastcancer.org is a nonprofit organization dedicated to providing the most reliable, complete, and up-to-date information about breast cancer and a robust online peer support community. Their mission is to help individuals and their loved ones make sense of the complex medical and personal information about breast health and breast cancer, so they can make the best decisions for their lives.